There have been times when the rain made the window panes hazy with their drops and I have wanted to bite into these. When our backyard looked like a watercolor painting through the bleary glass: unfocussed, washed out and deep deep green that I have evoked that whiff of smell in my memories. Or nudged a the scene back from the past when I stood under the red umbrella with my friends at one street corner, holding on to the Kachoris in oil stained newspaper packets. Rain always makes me absentminded. My mind wanders, getting lost in the misty maze of nostalgia. It finds the freedom to leap from one day to another, without paying attention to the years in between, speculating them, bringing in highlights and making me smile which I share only with myself. The aroma of the spices and the oil clinged to the paper and our finger tips. All that was left were the little drops of the filling stuck to the oily paper. This used to be our ritual twice a week at about 8:30 in the morning. A sort of a breakfast before we caught the bus back home after our Physics class in our senior high years. 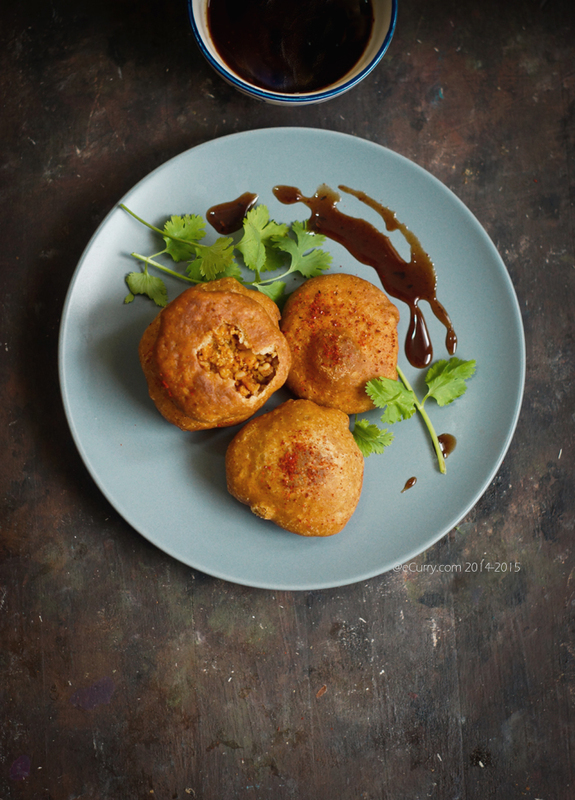 Some days we would have Singaras – the Bengali version of Samosas and on other days the Dal Kachoris. It seemed that the man who sold these deep fried delicacies seemed to be waiting for us, straining out the samosas and kachoris from the hot oil, setting them aside in the basket. Over the two years, we got aquainted enough to ask for “fau” or “free” when we bought a few. He would agree with a smile once in a while. The only money we had was what we saved from the changes of the bus fare. It was a tiny makeshift one man stall with one stove. He rolled the dough, filled and fried them all in effortless ease. When it rained a black plastic sheet guarded only the side where the rain blew in. The dust around would melt into mud, sticking to our sandals. It showed like brush strokes on our pants as we walked, balancing the book bag, umbrella and our street side “breakfast”. 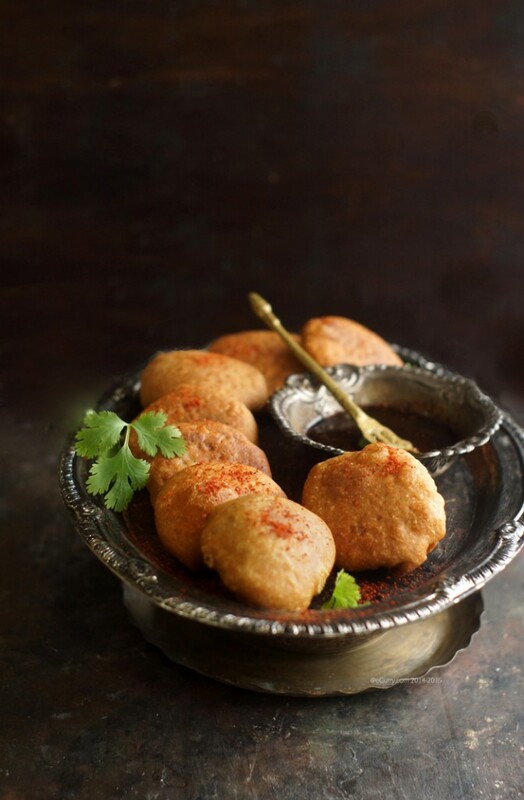 Khasta kachori is a typically north, west and central Indian snack often enjoyed with a cup of hot tea. In the late morning or in the evening. On the street side or at home, on rainy days, when guests gather or on festivities. The fillings can be of different kinds, offering possibilities of stuffing in whatever you want in them. 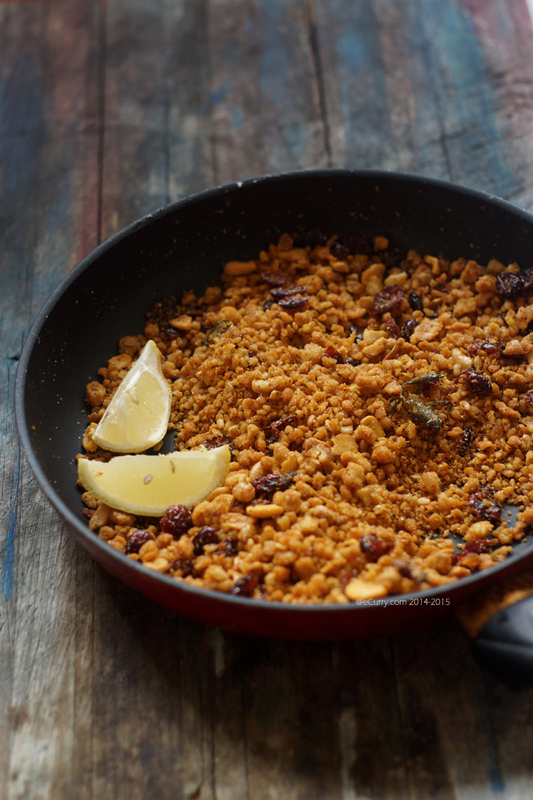 The ones with lentil based drier stuffings are more popular in the northern and western regions of India. 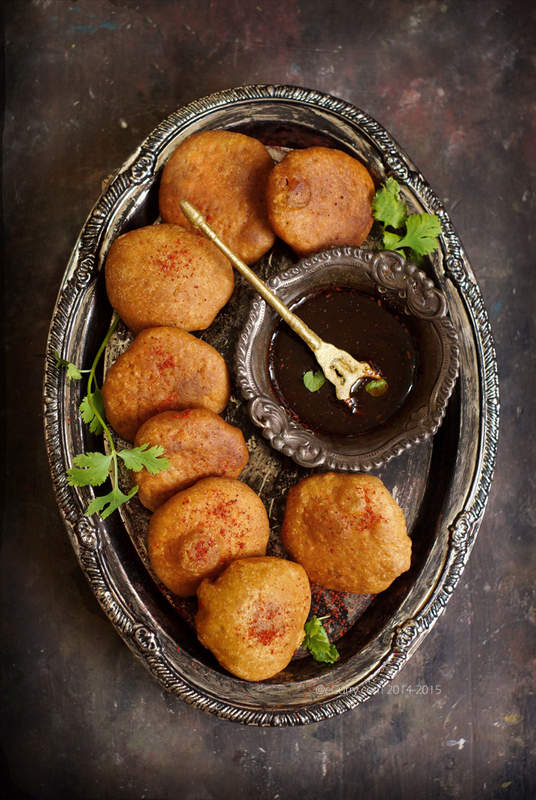 Kachoris are often served with the sweet and sour tamarind date chutney, or with a simple runny potato curry. Or they are assembled in “Chaat” along with yogurt, chutney, raw onions and spices. Either way or even by itself they are a lipsmacking snack to savor. The perfect kachori, once deep fried will have most of the filling sticking to the pastry crust. The inside is usually remains puffed and hollow. The flaky golden brown crust encloses the spicy with a slight hint of sweet fillings. The raisins. These ones I have today are filled with Dal or lentils. “Khasta” simply means flaky and crispy more like a pastry crust. 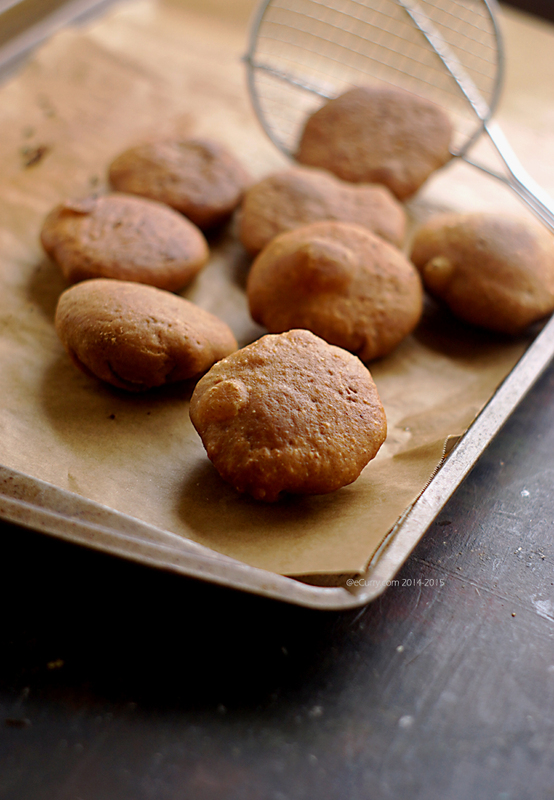 Kachori is a general term describing anything which is stuffed and deep fried. There are certain things that never got cooked in our home. These Khasta Kachoris being one of them. 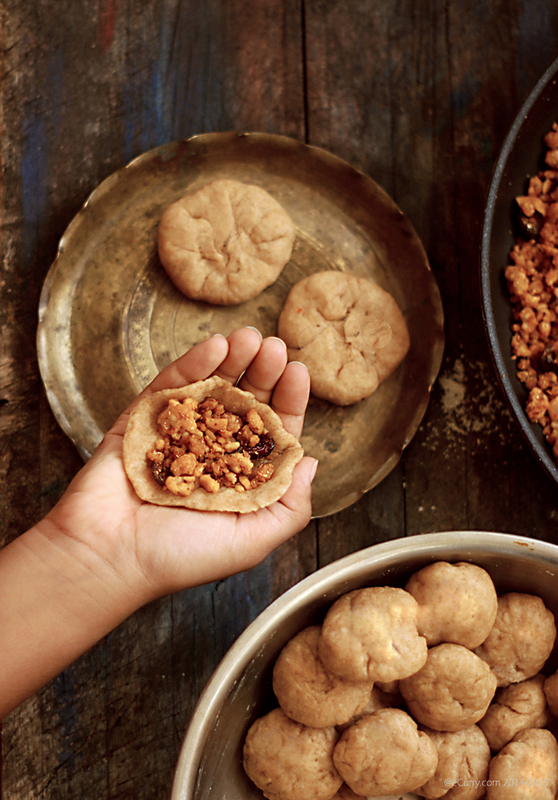 We have our own versions of Kachoris, but this kind always had been a “street food” for us. It was just more convenient to walk down to the street corner to get some. While these are often made at home in some parts of India and a lot during festivals, we never did. What amuses me most when I think of these now are that my grandparents loved these! 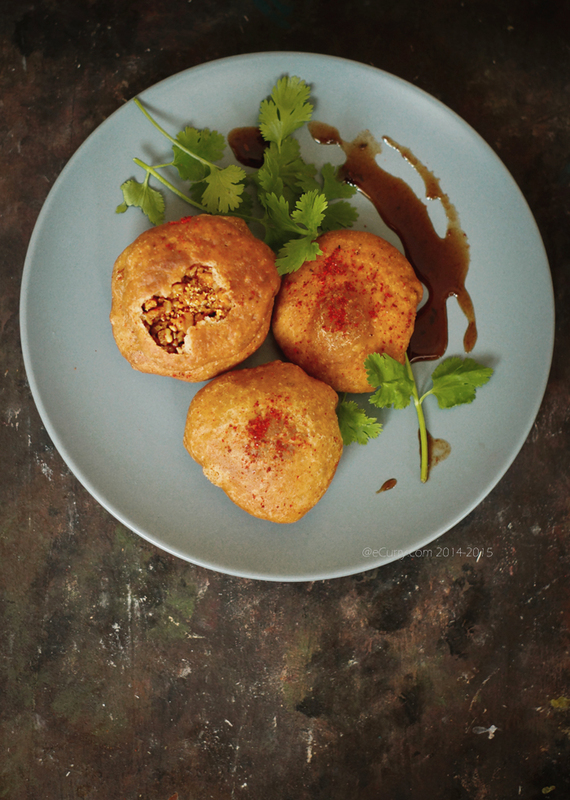 There have been times when I would just sit with them in the evening and suddenly one of my grandparents would go out and buy Khasta Kachoris – in oil stained newspaper bags. I do not ever remember my mom having these, even if she would be present there. Jilipis or Jalebis and Kachoris are something entwined with the memories of my grandparents. I have been getting requests from readers to do step by step photographs for the recipes. While it really becomes impossible for me to record every step (because I rarely do cook for a blogpost. I post whatever I cook), I do try to do it whenever possible – especially for recipes that are hard to comprehend without seeing them. This time T helped me with these and I got a chance to photograph. I hope these will help! The filling: dry and crumbly. The right amount of oil/ghee should be added to the flour for a flaky crust. 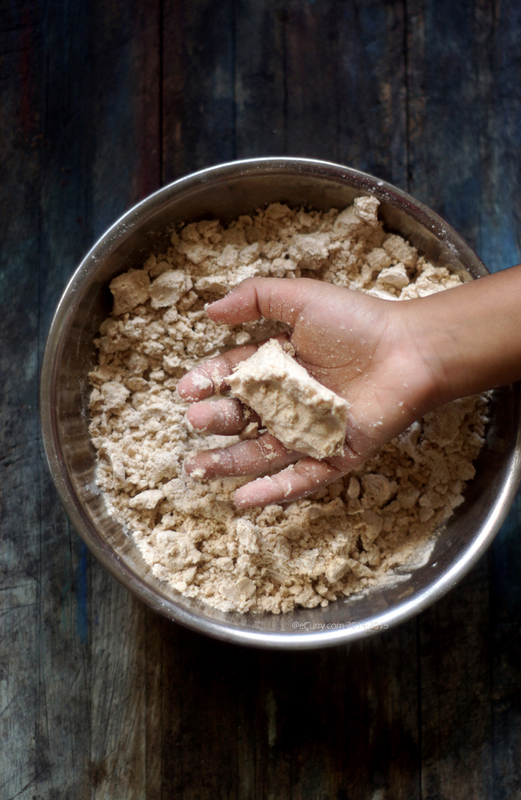 Rub in the oil/ghee with the sifted flour and see that it forms crumbs and holds a shape when squeezed in palms, without adding water to it. Slowly add water to the flour, knead well and make soft but non sticky dough. cover with a moist/wet cloth or towel to prevent drying out. Set aside until ready to fill and fry. 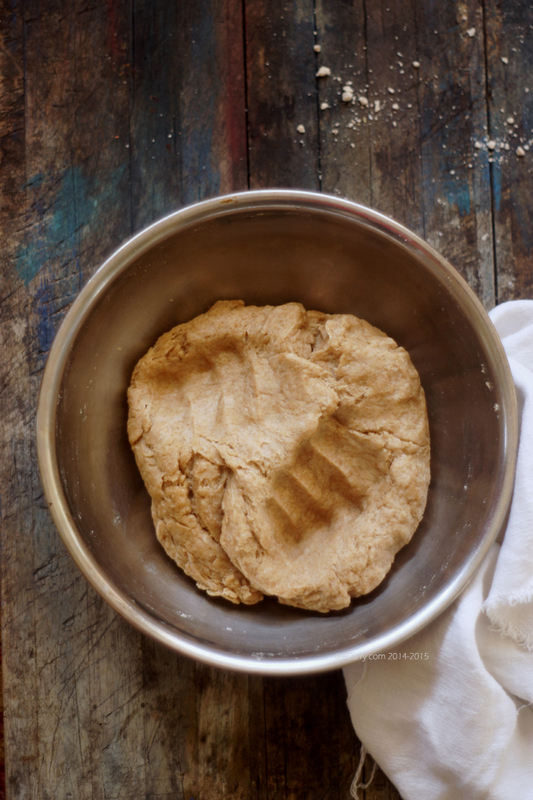 Roll out each portion of the dough to 2.5 – 3 inch circles (thicker in the middle and thinner at the ends). Fill and pull the ends together and pinch to seal. They should be like little balls. Set them aside for 3-4 minutes and then gently flatten them with a rolling pin or with the palm of your hands. They are ready to be deep fried now. (Little T helped me with these: hence the not so perfect shapes. However they worked just fine). *Note: The ratio of spices to be used here are not “rules”. 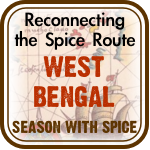 I have tried out different spices and their combinations in different ratios and this is what we like the best – the closest I could get to the taste that I remember. Feel free to play with them and find your best combination. The amount of cashews (or if you want to use any other nuts, or no nuts at all) is also not a must. Same with the raisins. I have used dried cranberries this time simply because I did not have raisins. Lemon juice may be used instead of dried mango powder/aamchur. Note: Durum flour may be used too. 1 part of Whole wheat flour can be combined with two parts of all purpose flour. I usually do this as the all purpose flour has a slightly different texture than the maida. Sift flour, baking soda and salt together into a bowl. Add oil and mix well by rubbing the flour with oil between your fingers. The flour will form crumbs and if you pick some flour and tighten in your fist, it should hold the shape. If there not not enough oil, the crust will form no flakes. Now add (about one cup and a few tablespoons) little at a time and knead to form a soft, but firm and a non sticky dough. Once you are done you will have to apply some pressure with your finger to make a dent. Knead well into a soft dough using sufficient water. 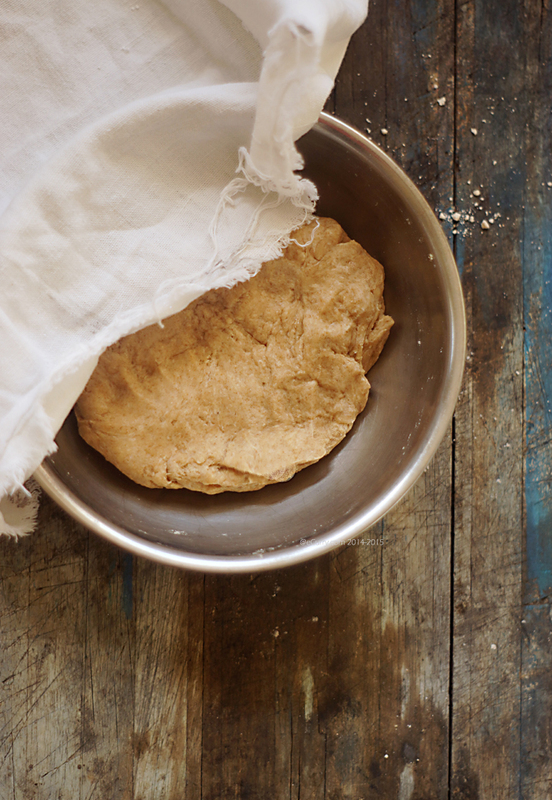 Coat the dough with a fine layer of oil or ghee, cover with a moist cloth and set aside. Wash and soak the lentils (moong or urad) in enough water for a couple of hours. Coarsely grind soaked lentils using as little water as possible. If for some reason you do need to add a lot of water, strain out the water after grinding it. The lentils should not be made into a paste. There could be some whole, but mostly broken. Heat oil/ghee in a heavy bottom pan and hing/asafoetida and the sliced chili peppers. When they start to sizzle, add the add coarsely ground fennel and the coriander powder to the oil and almost immediately in less than thirty seconds add the ground lentils and the ginger and start tossing immediately. The spices need to be mixed up with the lentils. 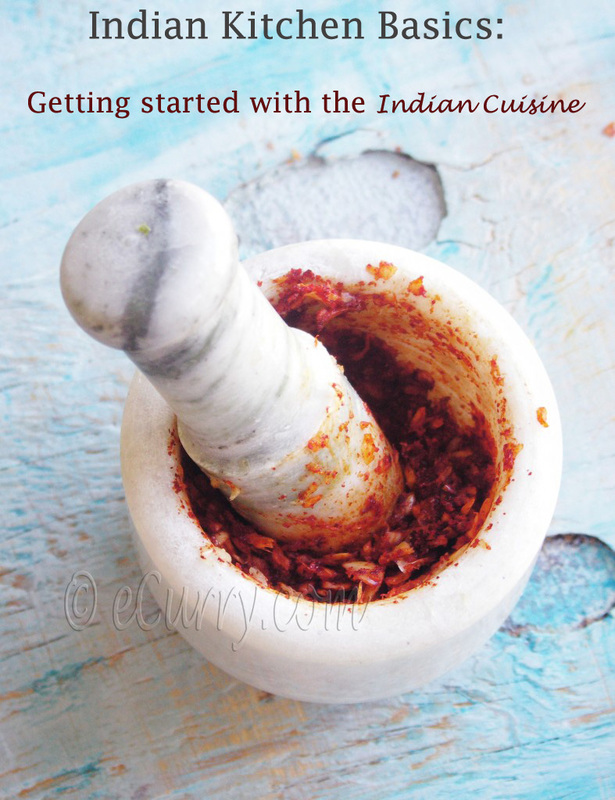 Add the other spices: cumin, ajwain/carom, chilli powder, cashews, raisins (or craisins as I did) and and salt. Cook at low to medium heat while tossing and stirring constantly to prevent the lentils from sticking to the bottom of the pan. Cook for about 10-12 minutes and then add about 1/4 cup of water to the pan and cover it tightly. The lentils will need to cook in steam until the raw taste is gone. This will take another 7-10 minutes or maybe more. Keep in mind that the given cooking time is approximate and it depends on how much water you have used to grind the lentils with and how long your lentils need to cook and also to dry out. Uncover and cook until the mix gets a crumbly but cooked texture. (I like the filling to be dry and crumbly and the dry filling also increases the shelf life of the kachoris. They can be made not so dry and a bit sticky too – kind of like a drier version of mashed potatoes. The choice is yours. Cook more or less depending on how you want yours). It color will deepen to a brown hue, and the raw taste would be gone and it will be fragrant with spices. This might take another 10-12 minutes after the covered cooking process. Cook at low to medium heat to prevent burning. Now add the sugar and aamchur/dried mango powder (or a drizzle of lemon juice), give it a final stir and toss and switch off the heat. Allow the mixture to come to room temperature. Divide the filling in 25-30 portions. Divide the pastry dough into 25-30 portions. Take one portion of the dough and roll it out to about 2.5 – 3 inch circle keeping the center thicker and the edges thinner. 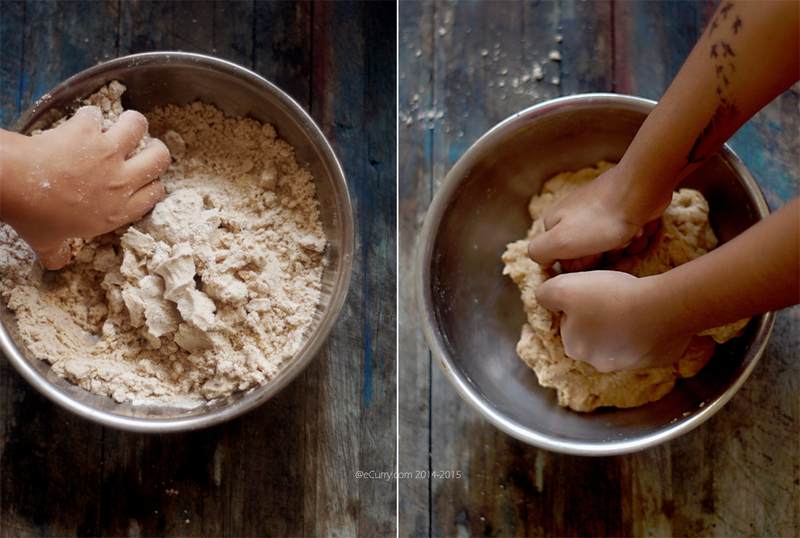 Place the rolled out dough in the palm of your hands and cup it. Place one portion of filling in the center. Pull the edges of the dough together and enclose the filling and squeeze the dough together at the seam to seal. Let the filled ball rest with the seam side up for 3 to 4 minutes before rolling them out again. Repeat this with the rest of the dough and the filling. When all the dough is filled, you will have to flatten the filled balls. You may gently use a rolling in or the pam of your hands. Flatten each of the filled balls of dough to 1.5 inch -2 inch size. Heat sufficient oil in a wok/kadai to deep fry the kachoris. You will know the oil is hot enough when you put a pinch of dough in the oil and it comes right up. Place few (about 3-4) kachoris at a time in the hot oil. 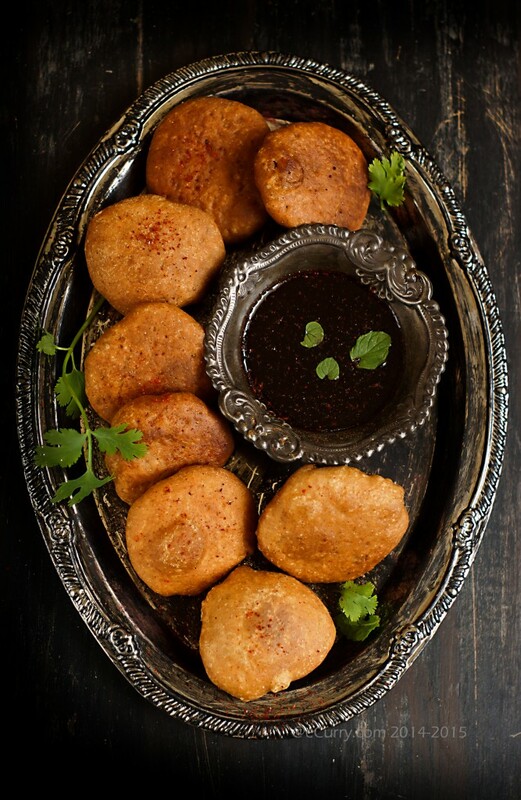 The kachoris need to be deep fried in low – medium heat for 3-5 minutes or until golden brown and crisp. If the oil is too hot, they will cook on the ouside but the inside will not be cooked. Fry them in batches and drain them on layers of paper towels. They will be crisp and flaky on the outside and the filling should be seen sticking to the pastry crust when the kachoris are broken. 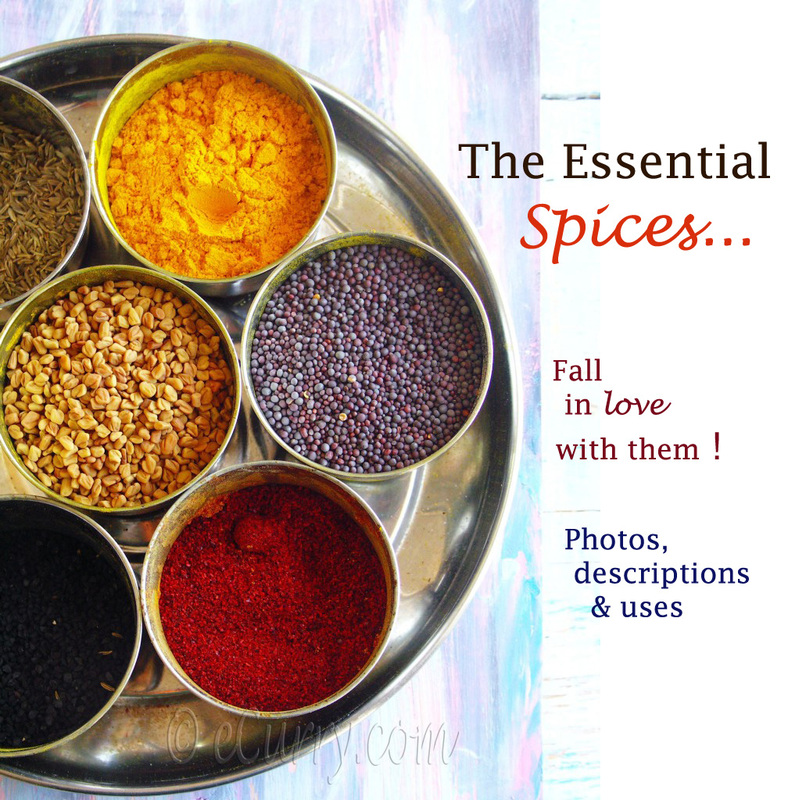 Serve them hot with tamarind chutney. 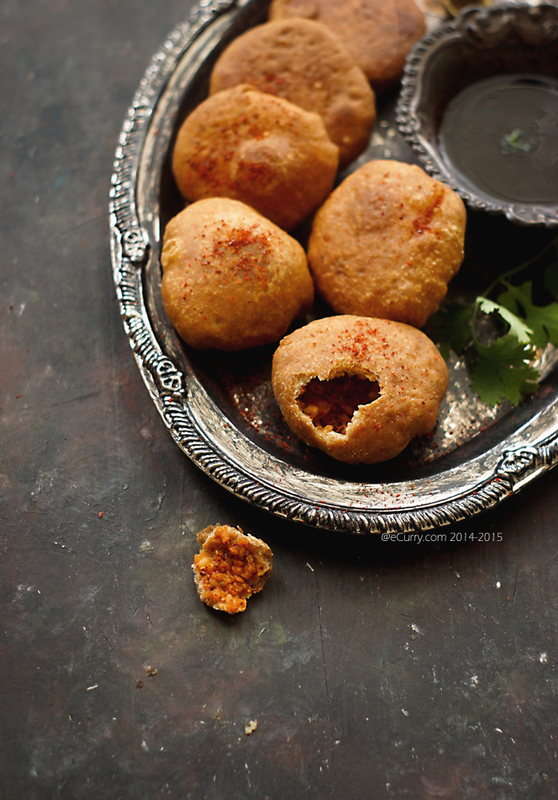 (We like to mix the Mint, Coriander Chutney with the Tamarind Chutney while having these). Oh, what a marvelous snack! Extremely mouthwatering. Loved reading the post and loved the pictures. I will never ever be able to make it. I am scared to try anything which is supposed to be khasta. 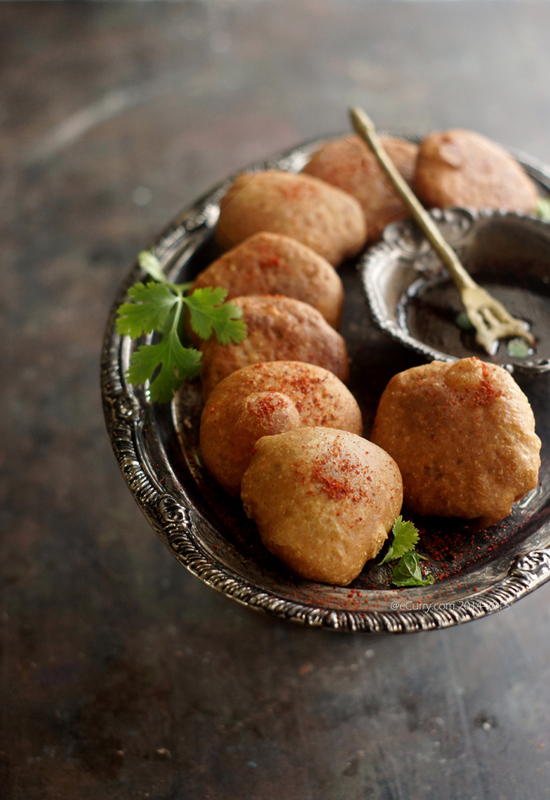 I LOVE these kachoris….love it. I buy them from the local Indian store. I wish you had a picture of the kachoris in an oil stained newspaper. I wish too.. the oil stained newspaper. I had so little time with these that I just plated them for Diwali and shot them. I do not drain them on newspapers (sometimes the print comes off …) If I did I could have taken a pic then like I did on the baking paper. Maybe next time I make! why are u scared to make anything khasta? Such a mouth watering snacks. i tried but it did not come as crunchy. please give me some tips. You’re such a hardworking blogger! 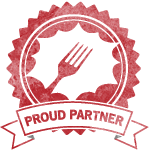 Look how much effort you’ve put into describing the recipe step-by-step! 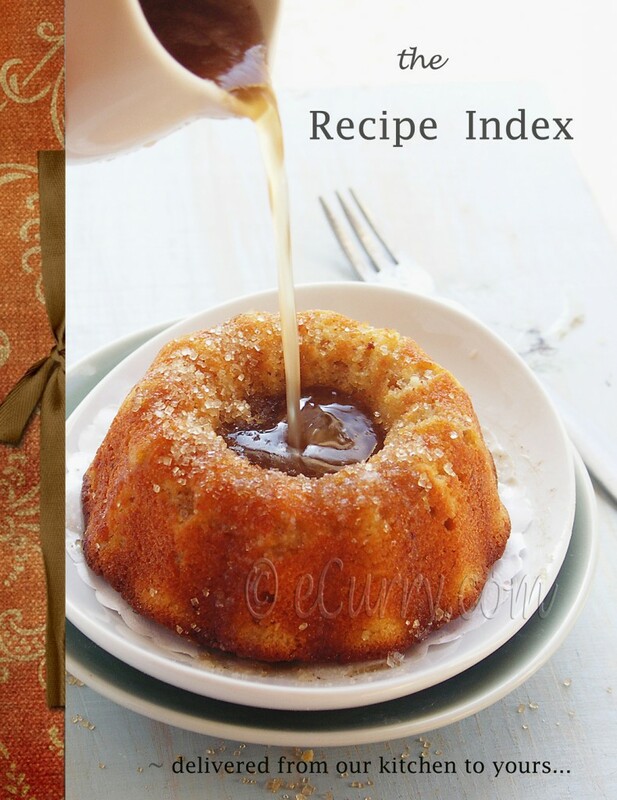 A picture-perfect recipe! 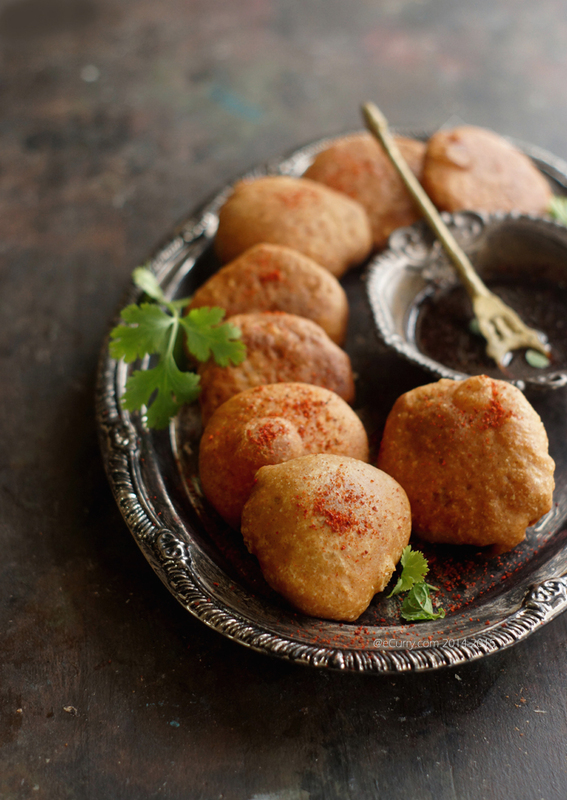 In Bangladesh, we have similar type street food: Daal puri which is spicy lentil stuffed, deep fried Kachori. The only difference is, Daal puri has thinner crust than your Kachuri. Lovely, warm pictures turned back the wheel of time and I traveled back to my childhood. I wish I could have at least one from it. I wish to make the kachoris at least once in my life as I have already failed thrice till date. Just loved the way to made and represented them…. Here you’ve made me doubt if it was an insane idea to omit maida from my diet?!!! Your kachoris are mouth watering.